A couple of months ago, one of our multinational technology clients asked for support on an expansion project in Europe. 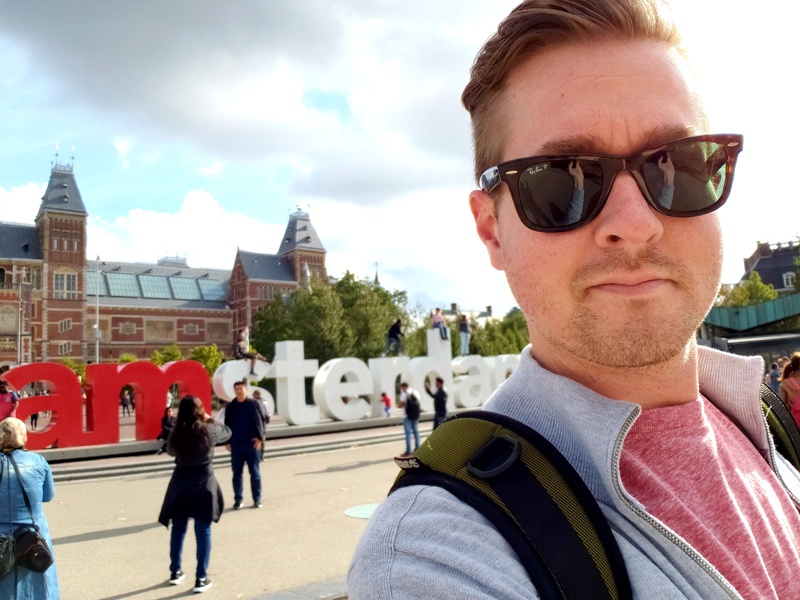 Within weeks, Kyle Chesnut, a Senior Recruitment Consultant from Deerfield Beach in Florida, relocated to Europe to work onsite with this client for three months. Thanks to his dedicated support, we were able to be agile and quickly support our client’s business needs. How did the opportunity for the three-month project in Europe come about and how did you manage to secure your place? As soon as I heard about this opportunity I immediately reached out to learn more. As I gained more knowledge on what this role would entail, I knew that this would be perfect for me. Having been in recruitment for seven years, and with plenty of experience working onsite and maintaining and building client relationships, I felt this would be a great way to utilize and expand upon my skills. I didn’t have experience recruiting internationally before, but having been here for just over one month, I have learned a great deal about processes, procedures, guidelines, etc. in recruiting in EMEA [Europe, Middle East, and Africa] and I’m continuing to learn more each day. Tell us about your secondment? What does it entail? I’m currently working on-site at the client’s office in the center of Amsterdam and I’m primarily recruiting for Operations Management roles. The client is centralizing its operations team, so there are several opportunities based here in Amsterdam, but many roles will cover the entire EMEA region. In addition, there are other team members from WilsonHCG based in the UK and Spain that are also recruiting for similar roles for some of our client’s other divisions, as well as some positions in marketing, web content, and various analyst roles. You have been in Amsterdam for one month what are you enjoying most so far? So many things!! Being onsite with the client is great. I have been welcomed with open arms from day one. Working here has exposed me to so many new cultures and backgrounds, as a large majority of the people here are from every corner of the world. They also feed us very well here too! Haha! As far as Amsterdam is concerned, the city is AMAZING! I have been to several places throughout Europe, but never Amsterdam. My walk to and from work each day (I have not gotten a bike...it’s intense) is probably my favorite. I walk along the Amstel River and there is always something new to see. This holds true for the entire city, as there is always a new street, canal, or neighborhood to explore. What about the benefits to the client? How is the client benefiting? I think being on-site with the client has many advantages. The first and most important is that it’s giving me the chance to continue to build and strengthen the client relationship. Being here and representing WilsonHCG is a great honor and being able to demonstrate what we can do and why we are obviously the best when it comes to RPO is brilliant. Secondly, being able to see first-hand how the client works and getting a better insight on its processes, culture, values, etc. is very helpful. Finally, having direct contact with hiring managers and being involved with candidate debriefs/roundtables and being able to give my (or the team’s) opinion on candidates for potential offers is certainly a benefit and ultimately results in more hires! You’ve temporarily relocated to Amsterdam for the assignment - what’s it like? Are you enjoying living in Europe? How does it compare to Florida? I think the biggest and most obvious difference is the number of bikes! It’s very intense during the week as people cycle to and from work with the added addition of cars, buses, trams, and people walking (like myself). During the weekend, however, they start their day later and are much more relaxed! The people here are incredibly nice and are very welcoming. One thing I have noticed is that Amsterdammers (yes, that’s what they’re called), love to be outside! If it’s a nice day they are either running, walking, rowing, or having a picnic along one of the canals or in one of the city’s many parks. I have always wanted to live abroad, and Amsterdam does not disappoint. Living here is a different mindset. Stopping to enjoy the outdoors, a cafe, or a quick weekend getaway to a neighboring city or country seems to be what many tend to do, including me now! Kyle is a Recruitment Consultant with more than six years of sales and IT recruiting, consulting and talent acquisition experience. Kyle currently lives in South Florida and loves to go boating whenever possible. He also enjoys traveling, and tries to take at least 1-2 international trips each year.